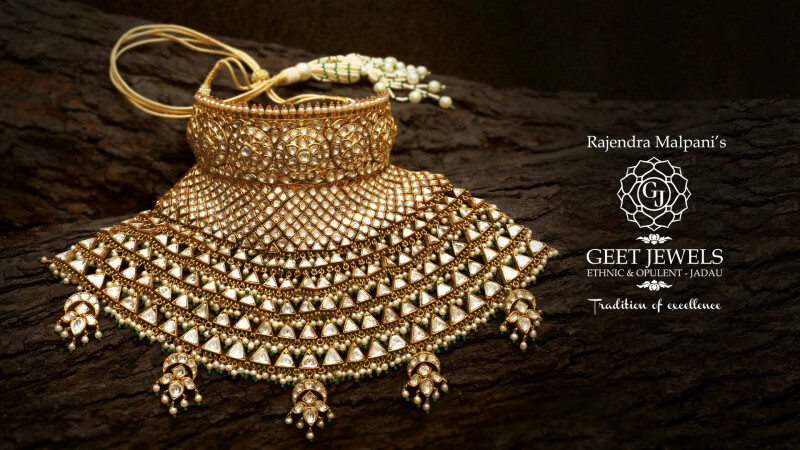 Geet Jewels – A Royal Treasure, Retracing our steps back & revives the old-era elegance & royalty. Truly inspired by the Maharanis of ancient era, Geet Jewels crafted this Heirloom jewel piece in gold, studded with the finest quality of polkis (uncut diamonds) and ended with the imperial luminous real pearls. Geet Jewels brings you a proper jadau bridal set that captures the sentiments of the past & moments of love & emotions that passes through generations.